I found these two old dining chairs that needed a real clean up. 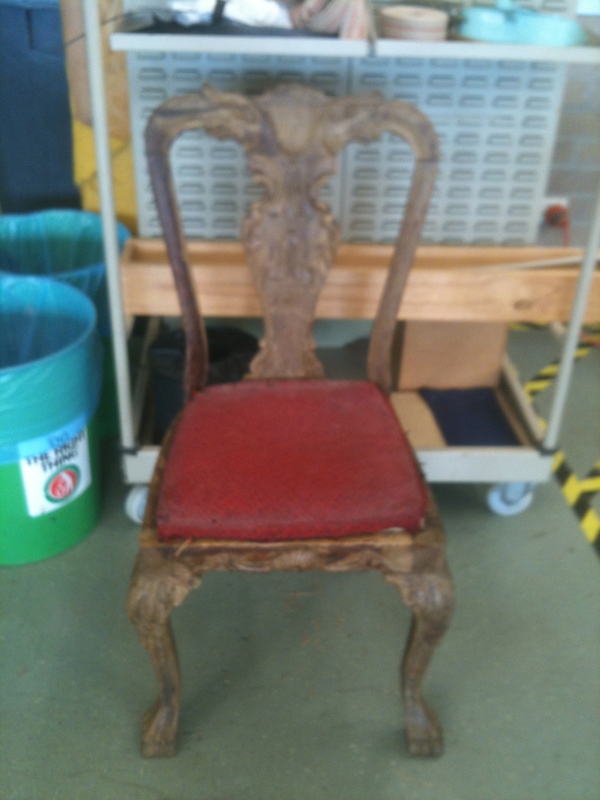 All the old material was taken off and the chairs taken apart. 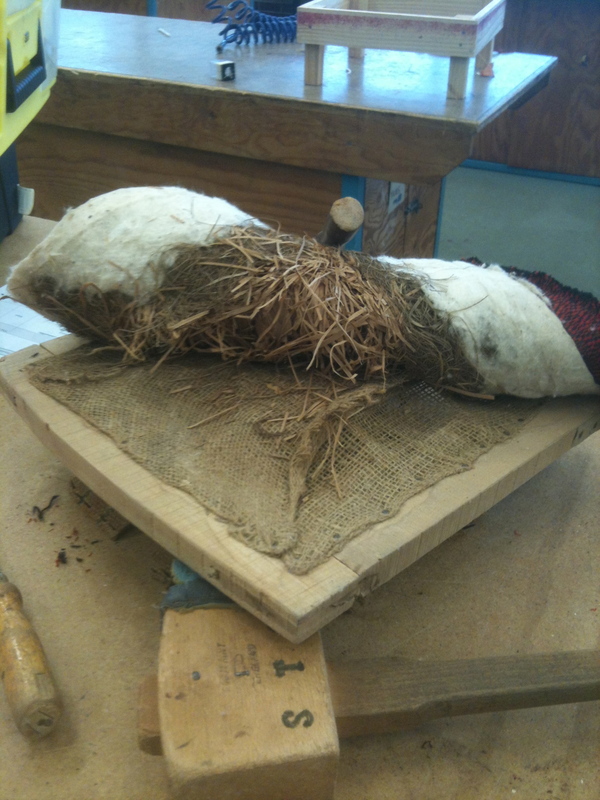 Old joints were checked, glued and clamped where necessary. 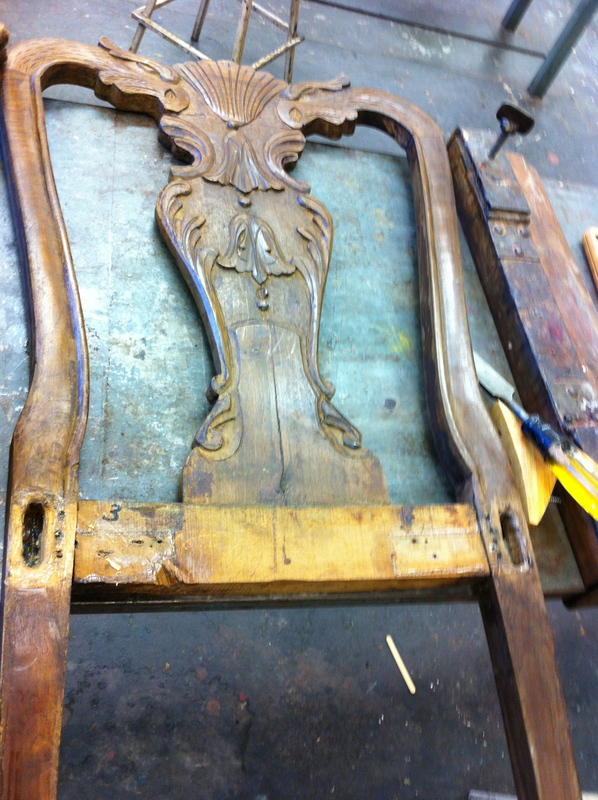 Next it was a matter of cleaning up the old wood and giving it a good polish. 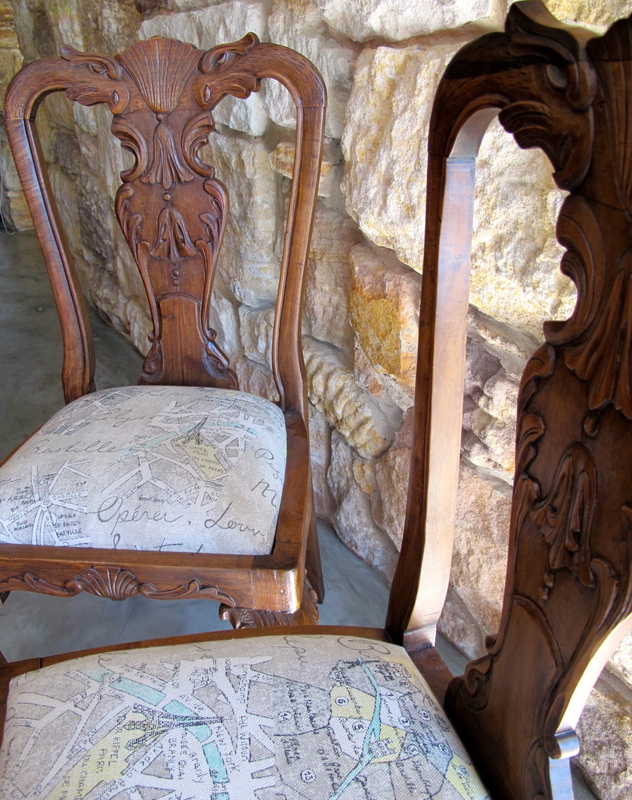 The seats were drop in and I wanted to find a fabric that complimented the beautiful carvings. 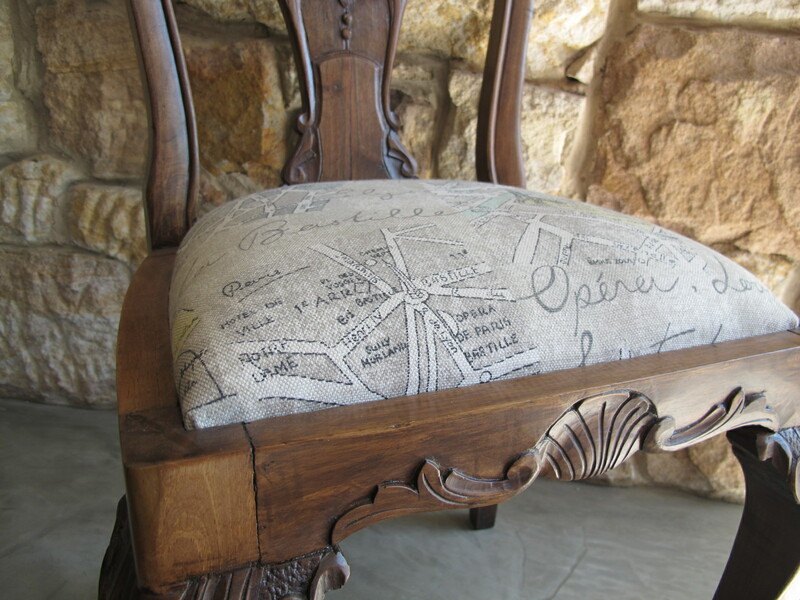 I found some printed fabric – (nice medium weight cotton mix) with the streets of Paris on it that I think looks great.